Worship Altar Servers: Provides and directs individuals who will assist the priests during Mass and other liturgical services. 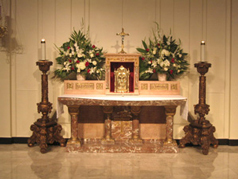 Altar Society: Provides support to the church for the altar, vestments and other essential items for celebration of the Mass. Eucharistic Ministers: Assists the priests in the distribution of the Eucharist during Mass and other liturgical services. Lectors: Proclaims the Word of God during the Mass and other liturgical services. Music Ministry: Provides the music for all Masses and other liturgical services. 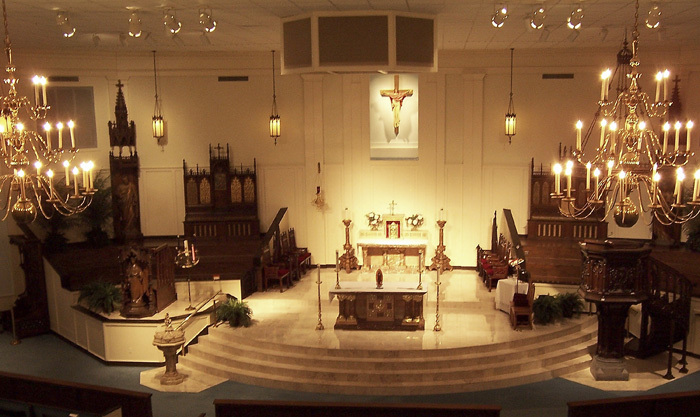 Ushers: Provides ushering services at all Masses and other liturgical services. Bereavement Ministry: Provides assistance to those making final arrangements for loved ones and provides support through their loss. Homebound Ministry: Takes the Eucharist to and visits with the hospitalized and home bound. Marriage Counseling: Provides counseling for those who are in a marriage relationship. Food Pantry: Provides assistance to needy individuals and families.